Developing athletes is WHAT we DO at DEPTH Training. Have you thought about training with us to help you achieve your sport performance goals? If you are an athlete in Grade 9-12 who is NEW to DEPTH and you want to experience what high performance training is all about then this offer is for you. 10 Training Sessions at a reduced rate per session to provide you with the opportunity to see if Depth Training is a good fit for you! This program is for athletes in ANY sport who want to experience what Depth Training has to offer. Session 1 – you will complete an initial performance assessment which includes baseline performance testing and body composition. The next 8 training sessions are specific to your age, gender, injury history, sport, training goals and performance testing results. Session 10 – you will re-test your baseline performance measures to identify areas of progress and continued areas of need during your future training sessions. Want to fully maximize your results during your 1st month of training? 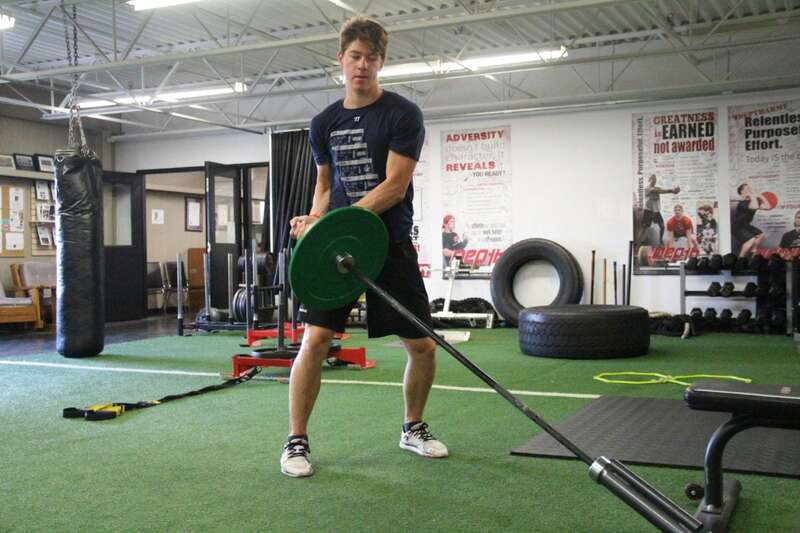 Complete an Athlete Performance Therapy Assessment to help rehabilitate former injuries, reduce the risk of future injuries, and maximize your performance potential. Register for our 1 on 1 Athlete High Performance Nutrition Coaching Program to work 1 on 1 with one of our Depth Nutrition Coaches. 1 on 1 Athlete High Performance Nutrition Coaching Program. Ask about our Depth Training App to get individualized programs right to your mobile device. Ask about our Athlete Nutrition Supplements. The Depth Training environment has been cultivated through the hard-work, dedication, and commitment of the athletes who step through our doors. Are you looking to train in a facility where others have previously come to put the effort in required to help you achieve your goals? See the list of athletes below who challenged themselves within the Depth Training Walls under the guidance and direction of our highly experienced coaches.